In the U.K. about 11.8% of the land is covered by forest, (Thomas and Packham, Ecology of Woodlands and Forests). The amount of ancient woodland, within this, is very low. Ancient woodland is also fragmented and dispersed. Ancient woodland is a term that is applied to areas where trees have been present in the landscape for many hundreds of years, not necessarily as great continuous tracts but as discrete plots or areas. Such ancient woodlands (in the U.K.) usually have a long history of being ‘managed’ by local communities. This contrasts with the woodland in a country, such as New Zealand, where there are large areas of well-preserved and largely ‘natural forest’. The term ‘ancient woodland’ should not be confused with ‘wildwood’. Wildwood refers to the woodland that developed in the UK and across Europe after the last glaciation. The nature of ‘the wildwood’ is the subject of some debate. Was it dense, dark forest or open savannah with trees? Whatever its nature, wildwood was never managed as such. the human interaction with the woodland (through coppicing, woodcutting, and the management of animals – especially herbivores). The Nature Conservancy Council (now Natural England) recognised the importance of these woodlands some time back and published 1:50,000 maps identifying woodland that had existed since 1600 A.D. Details of the various divisions of ancient woodland as defined by Natural England may be found here . 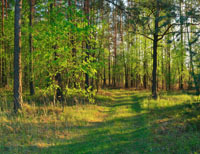 There are a number of features that are associated with ancient woodland. Many were subject to coppicing; a program that is characterised by regular felling and subsequent re-growth of the trees. 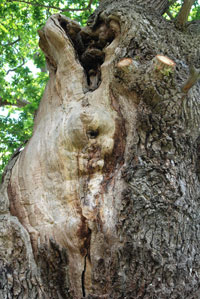 This makes use of the ability of certain trees to sprout from the stump or base, or grow from root suckers. Hazel and beech may be managed in this way. In consequence, ancient woodland may have coppice stools (multi-stemmed trees) of great age but may not contain ancient or veteran trees (tall, upstanding and very old trees). Ancient woodlands are usually isolated and have been so for many years. They have not arisen by recent fragmentation, due to farming or felling. Beneath the layer of trees, there are a number of plants, which have come to be termed ‘ancient woodland plants’. Some typical examples of ancient woodland indicators are: golden saxifrage, wood sorrel, wood anemone and wild daffodils. 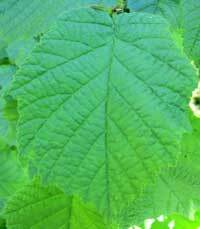 Such plants seldom occur outside woodland and do not easily disperse; that is, they cannot migrate from one woodland to the next. The plants may be clonal, that is, they make use of vegetative / asexual reproduction. There is a long history of an association between ants and plants, one example of which is the seed dispersal of some species by ants. In Cow Wheat, (or Melampyrum pratense), the seed looks like an ant’s egg or cocoon in terms of its size, colour, shape, smell and weight. Some seeds have special structures called elaiosomes – oily appendages, which attract ants. The ants then carry off the seeds, they eat the oily structure and discard the rest; in consequence the seed is dispersed. Working out which species are associated with ancient woodland is very specialised work. If you find a particular 'indicator species', you should not assume that in itself is proof of ancient woodland ‘status’. These species are only indicators. 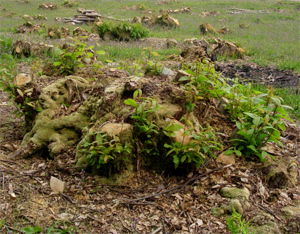 Amongst the ground flora, there is what might be termed a number of “coppicing plants”. 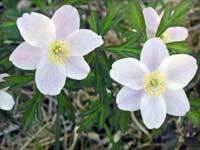 These are plants that cannot tolerate dense or continuous shade. They tend to appear in greater numbers when some of the trees have been cut down during the coppicing cycle; an example of such a plant is the oxlip, Primula elatior. Within ancient woods, there may also be grassland species such as the Devil's-bit Scabious in open grassland areas. It has been suggested that there are ‘forest interior’ species – which require large tracts of un-fragmented forest. Such species (often mammals or birds) are sensitive to the introduction of roads, which dissect woodlands. The creation of such ‘edges’ can have dramatic effects in terms of temperature and humidity. ‘Openness’ can mean that the temperature increases, whilst humidity decreases; consequently the transpiration (water loss) of trees, shrubs and herbs also increases. These effects may be felt up to 300 metres into the forest / woodland from the road. In the twentieth century, the greatest threat was the destruction and fragmentation of ancient woodland mainly due to the pressures of more land for farming, forestry and road construction. Rackham (see below) has suggested that perhaps some 40% of ancient woodland was lost to farming and forestry in the post-war period of the last century. The process of fragmentation may amplify such loss. If a 100 hectare wood is reduced to a 50 hectare site, then this remaining area may not be able to support the full fauna and flora of the original woodland. This is especially true if the 50 hectares is split further by fields or agriculture. Such fragmentation can have significant effects on bird and mammal populations, which need a certain 'minimum' area for the establishment and maintenance of territory. As the threat to ancient woodland from farming and road construction has diminished though not disappeared, so other threats have become apparent - which will be addressed in another post. Note : The Woodland Trust has produced a number of guides to identifying and managing ancient woodland. Rackham, O. Ancient Woodlands: modern threats. New Phytologist, 2008. 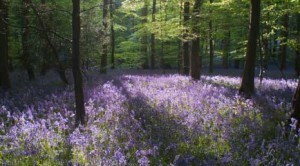 Ancient woodland is continually under threat in North East Hampshire. Small copses, mature trees on verges belonging to HCC/Highways, and rare orchids, have all been compromised, particularly during the last ten years when trees are felled at weekends. This has also destroyed habitats for some protected species, but I have yet to hear of anyone being fined, or any developer/landowner being taken to task for not being in control of their contractors.